Jeff Glucker March 28, 2018 Comment Now! According to Ricky Bobby, it was Eleanor Roosevelt that said "America is all about speed. Hot, nasty, badass speed." Italy's Maserati has taken that quote to heart. 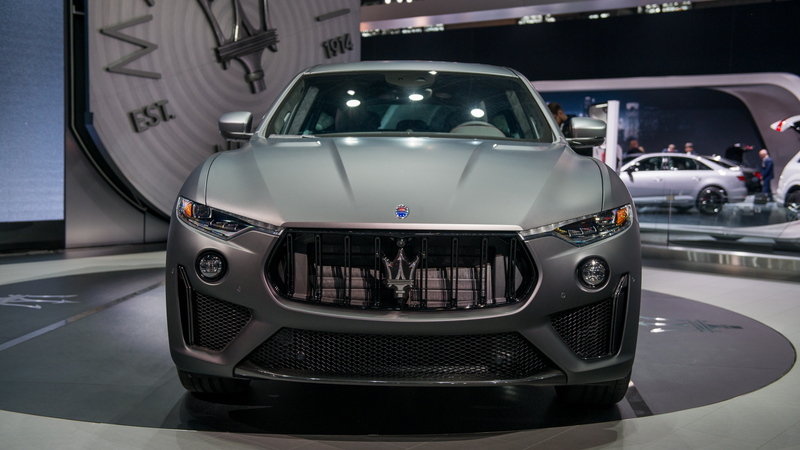 That's why the automaker decided that the New York International Auto Show is the perfect place to show off its new Levante Trofeo super SUV, which was previously thought to be a Levante GTS. There's no V-6 between these fenders. This Levante Trofeo packs a muscular V-8 that just so happens to be built by Ferrari. Sitting in the nose of this very sporty utility vehicle is a 3.8-liter twin-turbocharged V-8. In fact, this engine has the distinction of producing the most power per liter of any Maserati engine ever built. There's 590 horsepower ready to rock and 538 pound-feet of torque ready to roll. 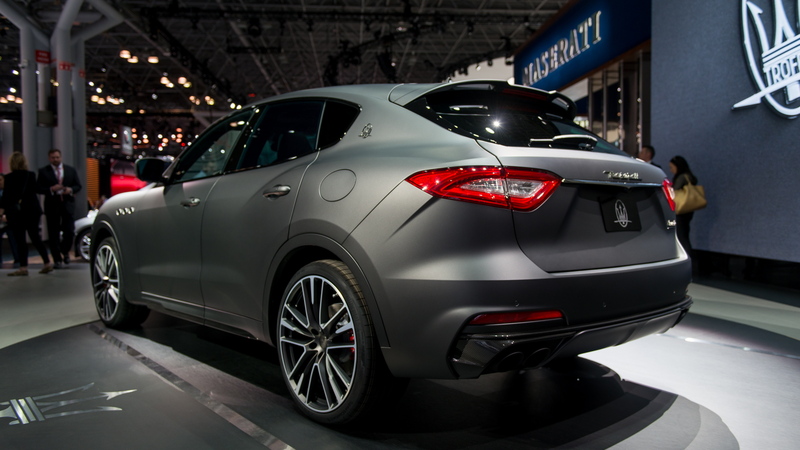 All of that Italian grunt is distributed to each corner of the Levante Trofeo through an all-wheel-drive system. Roll up to a long straight and come to a complete stop. Now mash the throttle and rip off into the horizon. You'll reach 60 mph in just 3.7 seconds, and if you have enough space you'll clear 187 mph. By comparison, the standard Levante and Levante S are the toys of children. Each has a 3.0-liter twin-turbocharged V-6 producing 345 hp and 424 hp, respectively. While certainly interesting, each version will cower in fear should a Levante Trofeo arrive on scene. Like Nurse Sharks attracted by chum, they'll scatter when the Tiger Shark shows up. Maserati didn't simply stuff a larger motor under the hood though, as this Levante Trofeo is further refreshed throughout. Front and rear tweaks to the bumpers and fascias is clearly evident. Carbon fiber has been employed to fill in the side bezels and serve splitter duty up front. Out back, the lower body-color extractor hugs the quad exhaust tips as if welcoming a dear friend after a long absence. The chassis has been fully retuned on the Levante Trofeo, too. Interestingly, this new powerplant brings with it a 50:50 weight distribution, which was also present in the V-6-equipped versions. But that V-8 no doubt takes great advantage of an added driving mode. You'll still find Normal, ICE, Sport, and Off-Road (ha! 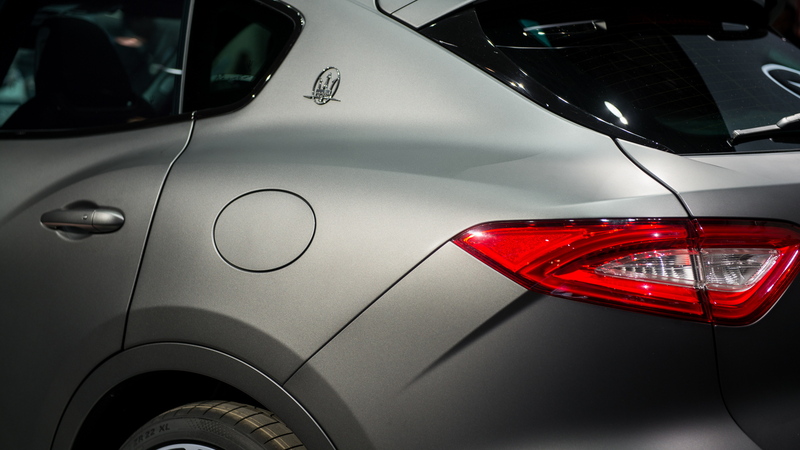 ), but now you'll also see Corsa. 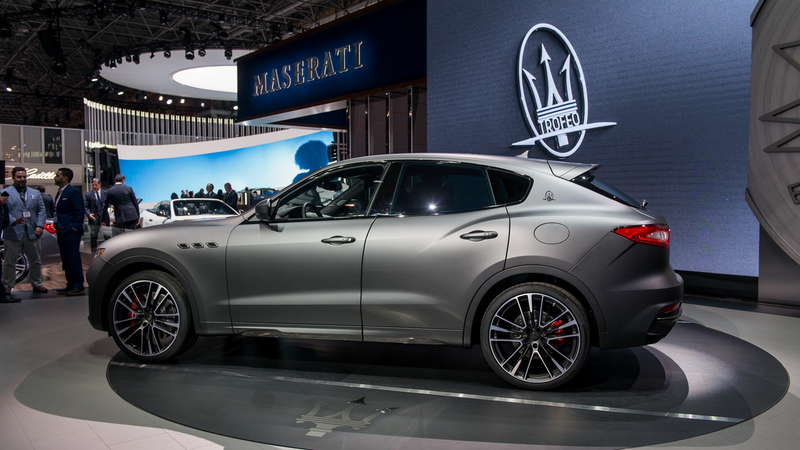 Set the Levante Trofeo there and you'll be rewarded with greater engine responsiveness, open exhaust baffles, quicker gear shifts, increased suspension damping, a lower ride height, and an AWD system that's ready to party. At the launch of the Levante Trofeo, Maserati will offer a special limited version called the Launch Edition. There's no word yet on what it will cost and how many will be produced, but we do know it arrives wearing matte Grigio Lava paint work, matte-finish 22-inch wheels, and a set of red brake calipers because that's a must-have item on any fast car. On the inside, the Launch Edition Levantes will also feature a serialized badge and the customer's name, if they so desire. 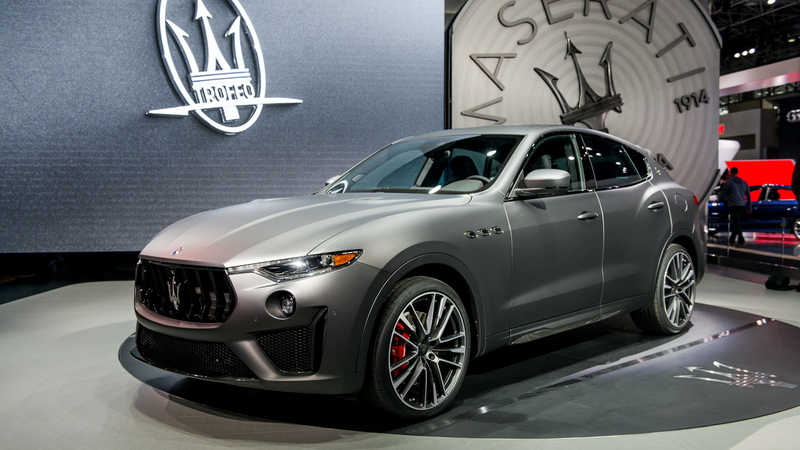 What they'll truly desire is some of that hot, nasty, badass speed...and they'll get it with the twin-turbocharged V-8 Maserati Levante Trofeo.